Davis had his high school Baccalaureate this week. 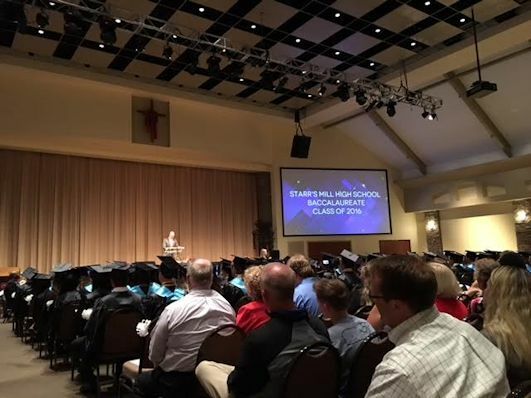 According to Davis’ principal who also agrees with Wikipedia, the Baccalaureate service started in 1432 in Europe when each candidate for a college degree was required to give a sermon in Latin before graduation. 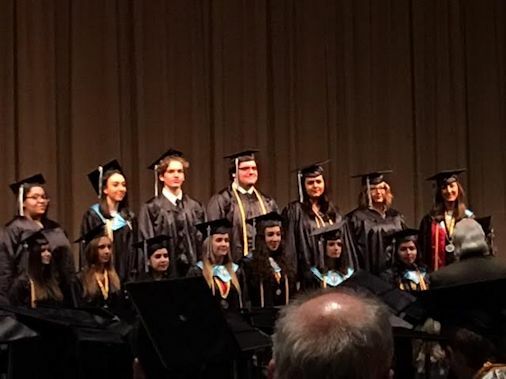 This high school service was not in Latin and did not involve all 342 seniors preaching so it was quite a bit shorter than its predecessors..
Davis got to sing May the Music Never End with his fellow senior classmates in the chorus. He will also be singing as a quartet at graduation when they lead everyone in the Alma mater. The two guys in the middle and the two girls on the end form the quartet. The speaker was Mr. Dan Cathy, the CEO of Chick fil A. He was an entertaining and motivating speaker. Here’s a better photo from the internet. I was pretty far away and behind lots of graduation caps when I took my pictures. Using my powers of motherly astuteness, I figured I might have embarrassed Davis if I ran to the front of the stage with my camera for the sake of the blog. It doesn’t take much to embarrass a teenager but cameras are an automatic “I-will-never-speak-to-you-again-if-you-take-that-picture-now” so I sat in the back and took tiny dark photos. 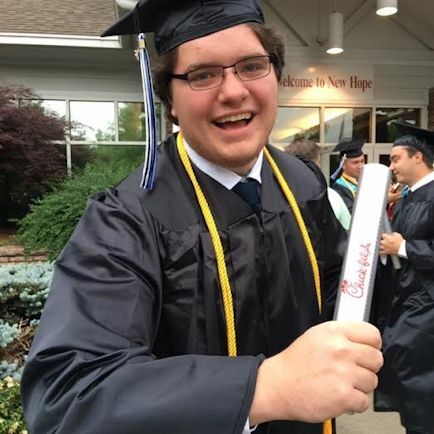 Dan Cathy gave each graduate a relay baton and encouraged the students to set goals and to work hard to keep achieving throughout life. 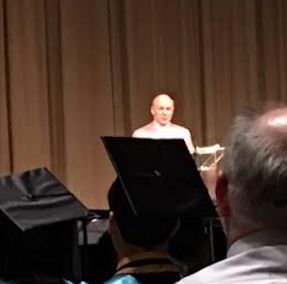 Pretty standard fare for a Baccalaureate but he had me clapping along and cheering Eat More Chicken, so I was pretty motivated even if I wasn’t the one graduating. The graduation ceremony is tomorrow unless it rains and unfortunately, it is supposed to. If it does rain, the graduation will be Saturday morning. Either way, we have a big weekend ahead. Congratulations to Davis…and to his Mom, especially!